Passcodes offer protection. Without our passcodes, strangers are unable to unlock our phones and go through our personal information. However, you may find yourself stuck in the unfortunate situation where you’ve suddenly forgotten your passcode. Or perhaps your mischievous little one has played with your phone and accidentally locked you out. How do you unlock your iPhone without passcodes in these cases? Fortunately, our trusty aide, Siri, can be used hands-free to unlock our phones. This trick can also be used to unlock our phones hands-free when we’re working out or otherwise too engaged to change the song on your playlist. But how exactly is it done? Here’s how you can do it. First, we start by enabling Siri. To do this, press and hold the home button for a few seconds. Doing this will automatically enable Siri on your iPhone. Now that it has been activated, you’re ready to start unlocking the device. Ask Siri if she can open your phone’s world clock. Once the clock is displayed, simply touch it. The world clock should open, displaying both the clock itself and the list of music and tunes that you have the option of using as your alarm ringtones. In that tab, you should see a button that says “buy more tunes”- tap it. It will take you to the iTunes store. Once you’re there, click on the home button. This step should take you to your home screen, and if it does, you have just successfully unlocked your iPhone with Siri’s help and without using a passcode. Enabling Siri for when your phone is locked allows you to flip through your playlist without taking your hands off the steering wheel of your vehicle. By enabling Siri, you’re giving yourself the option to ask questions and receive answers almost instantly. You can use Siri to take note of important ideas, new songs to look up, groceries you need to get, or upcoming movies that you want to see. In times of need, such as in the case of a vehicle accident or severe injury, Siri can be used to contact loved ones or emergency services. For those with visual impairments, Siri is an important tool that allows them to navigate their smart devices with ease. Siri can be prone to listening problems. This means that if you don’t speak clearly or have a thick accent, the technology might not understand what you ask of her. 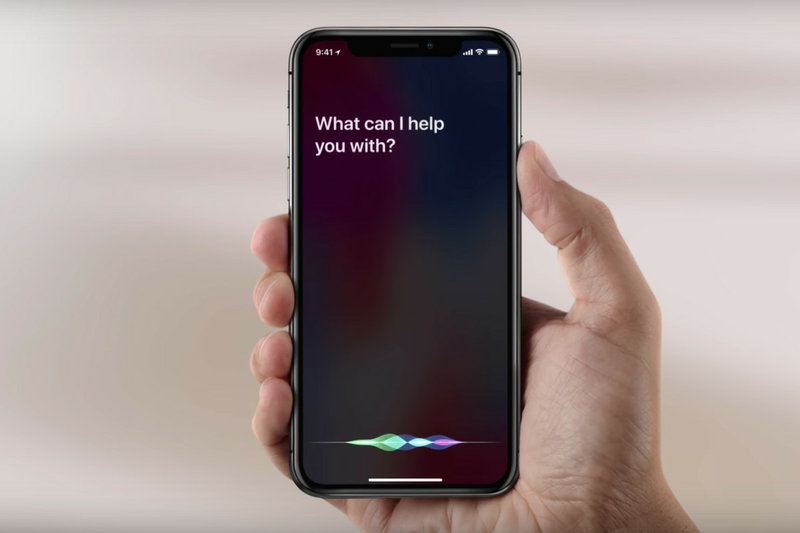 Siri, like many other voice assistants, does not work without some sort of internet connection, whether it be a data or wi-fi connection. Siri can be used for identity theft. If you’ve ever found a phone just sitting on the sidewalk or at the back table of a restaurant and have tried to figure out who it belongs to, you know that the information you need isn’t always readily available. Due to passcodes and passwords, you might be unable to find the owner’s name or email address – two things that would make returning their phone much easier. If the phone you find is an iPhone, there is a way that you can use Siri to access the information necessary for returning the phone to its rightful owner. The process is simple. All you have to do is ask Siri a simple question: “Siri, who owns this phone?”. Siri should reply by telling you the person’s name, email address, and phone number. When activating a new iPhone, owners are asked if they want to set up Siri. Most people agree before reading what the agreement entails. If you ask this question, the phone number won’t be very helpful, as the phone is against your ear. You can ask another question though. Ask Siri which number you call the most often. Siri will reply by telling you the name of the contact that, according to the phone’s call log, you call the most. You can then use Siri to call said contact and inform that person of the situation regarding the phone. However, with the way technology and voice recognition has been advancing, it’s possible that Siri won’t respond to your voice. If this is the case, you can still use this method. All you have to do is press and hold the home button for 3-4 seconds before asking the questions. As you can see, Siri can be a relatively helpful technology. She can be used in times of need or for simple, mundane tasks that we could do but would rather not. Unlocking an iPhone with Siri’s help is a breeze, and finding personal information about an iPhone user is even easier with her help. There is a drawback of enabling Siri, but often, many users feel that they are outweighed by the benefits. 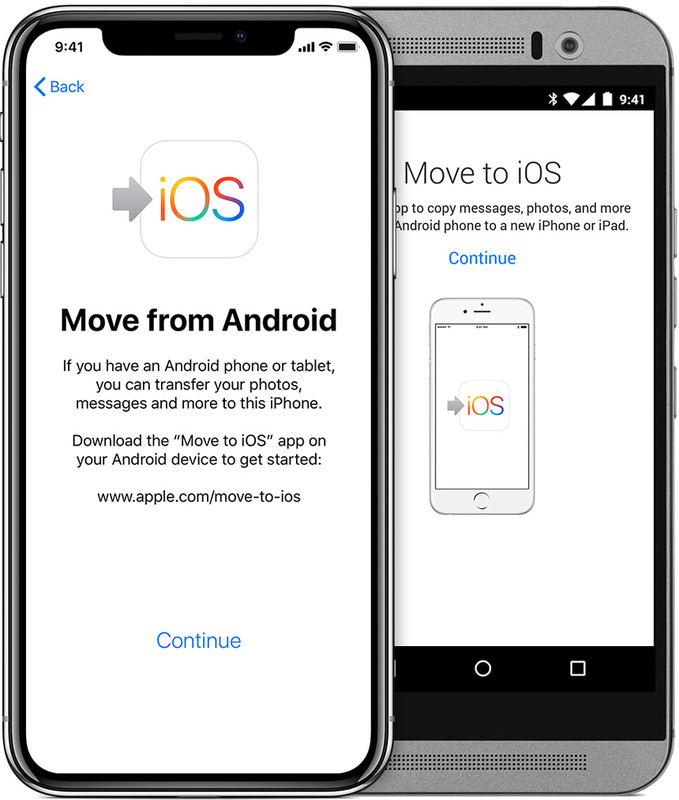 Have you recently switched from an Android to iPhone, and need to transfer your contacts? The process is easier than you think, and there are several methods you can use to do so. It helps to have several options to choose from, so here are some below. Move to iOs app is Apple’s first Android centered app. It works by linking an iPhone and Android together over a direct Wifi connection, where it then transfers all your data from the Android to the iPhone. Begin the setting up process on the iPhone, stopping when there is a screen titled “Apps and Data”. It will ask exactly which information should be transferred (i.e. Google account information, text messages, contacts, and pictures. Select what should be transferred. Android will complete the transferral process. Using this method is perfect for those who want an easier option than the “Move to iOS” application. This is a simpler process that takes a shorter amount of time to complete. Go to Settings on Android and select “Accounts and Sync”. Remember, the difference between active, working models of the Android supplied by various manufactures makes it slightly difficult to select precise wording for this. Search for similar wording. Enter Gmail account information and allow synchronization. Both phone and Google contacts should synch. This method is similar to the one above, however, it is a more thorough process that can be implemented in the case that the previous method does not work. This is an option for a user that only wants to transfer contacts. This can be done directly through the Android Sim card. Keep in mind, however, that this method will only work if the Sim cards are the same size in both devices (either a micro- or nano-Sim for later iPhone models). Here are the instructions below. Transferring contacts from an Android to an iPhone can be an easy process that can be undertaken with no hassle. With four options to complete this task, users can pick the most convenient option for them. Many of us have seen the all-too-familiar situation of a shattered phone screen. However, for those looking for a way to get your screen repaired, you have come to the right place. Below is a step-by-step guide on how to repair your Samsung Galaxy S7 screen. Be careful, though – Samsung has made it difficult for anyone but a professional to repair or replace the Galaxy S7 screen. Following these instructions precisely may still result in one or two small cracks in the new screen, so proceed with caution. Power off the device and remove the back cover from the phone. This may require the use of the blow dryer to assist in prying off the back. The plastic opening tool (i.e. gift card or guitar pick) can be used at this time as a prying tool. Bear in mind that the adhesive holding the back cover in place is significantly weaker than the adhesive holding the screen in place. This means it will require less heat than the display screen will. Now it is time to remove the NFC antenna. Take the spudger and insert it into the small notch located on the left side of the antenna assembly. Lift the assembly up and out of the frame, then carefully remove the antenna assembly altogether. Remove the charging coil assembly by using the flat edge of the spudger. Next, use the flat edge of the spudger once again to remove the loudspeaker assembly. Still using the flat edge of the spudger, disconnect the battery connector and unplug the display and digitizer connector. 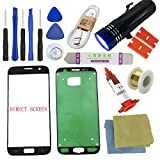 Now you are ready to remove the LCD screen of the phone. Apply a miniscule amount of heat with the blow dryer to the LCD screen of the phone to soften the glue holding it in place. Heat for 2-4 minutes using the lowest setting. Remain aware of the condition of the screen as too much heat can damage the phone. Turn off the blow dryer at any sign of discoloration. Slowly begin prying the screen upward with the razor blade in order to slide your plastic opening tool from before in between the LCD screen and the phone itself. Be aware that the glue may dry quickly and stick to the screen of the phone again. In that case, blow dry for 1-2 minutes and continue. Having multiple plastic opening tools handy will assist with this process. Leaving the tool in place will help prevent the adhesive from redrying and holding onto the phone screen. Slowly run your plastic opening tool between screen and phone until the screen releases from the phone. Be aware where the navigation flex and home button flex are located as they can break very easily. Take care not to cut too deeply when using the plastic opening tools to remove the screen. Doing so can damage the front-facing sensors or speaker at the top of the phone or even the capacitive buttons on the bottom of the phone. The display cable of the phone is located just above the midpoint on the side of the phone. Prying carelessly or too deeply with your plastic opening tool will interfere with it. Maintain a slow, steady pace so that the plastic opening tool does not slip out from underneath. Pry off the screen in the opposite direction of the display cable so that it will act as a hinge for easier opening. Carefully lifting away the old screen, remove the display connector through the hole of the midframe. Then, remove the screen altogether. Remove all glass and debris left behind from the broken screen until there are none left. Use contact solution and microfiber cloth to ensure all adhesives are removed. Make sure to swipe in one direction, not back and forth; this helps prep the surface for a new screen. Prepare replacement screen by removing all tape on adhesives. If the replacement screen did not come with adhesive, 2mm strips of 3M tape can be used on the edges of the phone. Place your new screen on the phone, carefully applying pressure. Do not press down too hard, as that could shatter the new screen or damage the digitizer. When applying the new screen, it is very important to check if the frame is bent. If it is, the replacement screen may not mount correctly and could be damaged. After replacing the S7 screen, it is important to reassemble the rest of the phone. Repeat the removal process in reverse. Turn the phone over and first replug the display and digitizer connector. Place back in the loudspeaker assembly and, following that, the charging coil assembly. Carefully put the NFC antenna back into its place. Then, position the back cover of the phone back into place. Repairing your Galaxy S7 is no easy feat. However, it is possible. Just remember to keep steady hands and remaining careful and patient. Remember, there is always the option to entrust the repairment process of your Samsung Galaxy S7 to a Samsung professional, but following these steps might allow you to spare a sizeable chunk of money. As a society, it is pretty safe to say that we all love our smartphones. They provide us with constant entertainment and the ability to communicate wherever we are. Today, living without our phones can be a real hassle. Probably one of the most hindering qualities of our phones is the battery life. It can be awfully frustrating when the batteries in our beloved phones begin to degrade. We then have no choice but to leave them hooked up to their chargers. 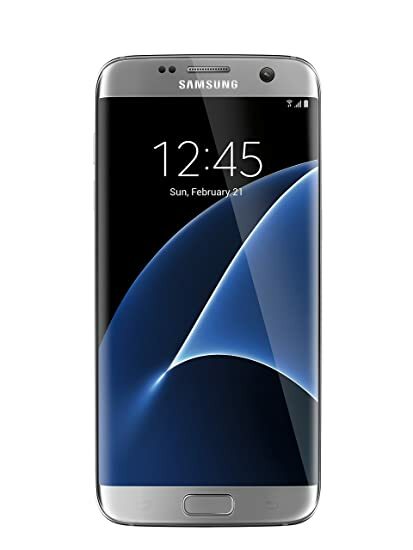 The Samsung Galaxy S7 showed up for sale in March 2016. It boasted wireless charging capabilities, a waterproof design, bigger screen, and high-quality camera. Although these devices took the market by storm, they do have one big problem: their batteries aren’t removable. What are we to do if the original batteries begin to fail us? The Samsung Galaxy S7 emerged on the market with a 300 mAh battery, which is able to be fully charged up in an impressive 88 minutes. According to Phone Arena’s proprietary test, the S7 has a battery life of 6 hours and 37 minutes, which is pretty average. One of the unfortunate downfalls of the S7 is that the battery is not removable like previous Samsung models. This makes the replacement of a flawed battery considerably difficult, especially due to its waterproof design. The adhesive around the device protects from water damage even if it gets into any crevices, giving the S7 the ability to be completely submerged underwater. To achieve this, the openable backing of previous Samsung models had to be secured shut, leaving no easy access to the battery. Although you are able to replace the battery, we recommend going to a professional to do so if you aren’t sure what you are doing. Fixing this problem requires delicacy and a few tools that you may not have at your disposal. Sending your phone directly to Samsung would be the easiest option, but not the most convenient. If you want Samsung to fix your battery, you have to send it in by mail and must then live without your phone for days at a time. Because of its waterproof design, the S7 has a useful adhesive that protects it from invasive liquids. That being said, it will be more difficult to crack open than other models. Caution: Before you begin this replacement process, let your phone battery drop below 25%. If you accidentally puncture the faulty battery during removal, it can explode or start a fire. Place your suction cup/handle on the back of the device. Pull up on the suction cup/handle, which the back of your device should be plunged to. You may have to use the picks to get through the remaining adhesive. Caution: The rear glass can break if you apply too much pressure or use excessive force. When the cover has been safely removed, use your Phillips head screwdriver to remove all twelve 3.5 mm screws. Wedge the tip of the spudger into the top left notch of the antenna assembly. Use it to pry the housing assembly up from the frame and set it aside. Use the flat edge of the spudger to remove the charging coil, then the loudspeaker assembly from the device. You should now be able to clearly see the battery. To remove the battery from the device, you have to first disconnect the battery flex cable. Use the flat end of your spudger for this task. Now you will need to soften the adhesive that is holding the battery in place. To do this, use your heat gun/plate to heat the screen of your S7. Once the adhesive is loose, use your spudger or pick to lift the faulty battery from your device. Be very careful that you don’t puncture the battery because it could begin to leak dangerous chemicals. After the faulty battery is removed, replace it with the new battery. To put your S7 back together, just follow the directions in reverse order, from 7-1. This replacement process can be challenging and time-consuming for many S7 users, so taking your device to a professional is the way to go if you don’t have the proper tools. If you don’t, Samsung Customer Service is a great option to have if you don’t need your S7 on a daily basis. All of our smartphones will inevitably lose their battery life over time and we know how frustrating it can be to always have your phone running out of power. We hope that this article will help you choose the best option when it comes to making a decision on how to replace your phone’s battery. It is possible to accidentally lose text messages after a reset, system crash, or even an accidental delete. This is always unfortunate because text messages are an important part of communication. However, SMS messages are possible to recover and it helps to know exactly how to do so. Using an app to recover deleted messages is an easy and great option. Despite the fact that Dr. Fone has “phone” in its name, it is not a phone app; it is a desktop application. Dr. Fone is compatible with Windows, so it should be available to most people. To start, a USB cord in needed to synchronize the Android device to Dr. Fone. This should have come in the box with the Android upon purchase. Installed drivers may be needed as well. This process can be done without it, however, Dr. Fone must establish a connection to the Android first. Then the USB Debugging mode must be enabled on the Android. After Dr. Fone has been started and the USB has been attached, a pop-up should appear with Superuser access request on the screen. Tap it in order to enable the app to access the Android’s memory which is what stories the text messages. Now, the device needs to be scanned to locate the deleted messages. Select scan to search the phone for the messages. The entire process should take up to 5 minutes. When complete, go to the messages section of the application. A list of all deleted data should be present, including the text messages currently in the phone. The current text messages in the Android can be hidden by selecting the option “only display deleted items” and then view the deleted messages. In order to save the deleted messages, check the boxes next to the needed information from the list and select recover. This is a program that is very similar to Dr. Fone. In short, it is a program that can locate deleted text messages from the Android phone memory and recover them. It is easy to use – all that is needed to do is connect the Android to a computer and follow the on-screen step-by-step instructions that follow. Connect the Android to Windows with a USB cable. Launch the Android Recovery program on a computer. Allow the USB Debugging mode on the Android and select “ok”. Select “Settings” and then go to “About Phone”. Hit the tab button on the computer 7 times until a dialogue box appears that says, “You are under development mode”. Go back to “Settings”. Next, select “Developer Options”. Lastly, select “USB bugging”. Once the computer and phone are in sync, the program will allow the user to select which data to recover from the Android. Select “Messages” and then “Next”. Before the program can access deleted messages, it will require permission to be granted from the user. A pop-up will appear on the Android asking the user to grant access. Select “Allow/Grant/Authorize”. The program will scan the device to locate both the existing and deleted text messages. The existing text messages will be in black font, while the deleted text messages will appear in red. To access only the deleted messages, switch on “Only display the deleted items”. Select all the deleted text messages that should be restored, and then select “Recover”. The program will then restore the deleted messages to the computer. The messages are saved to the computer in CSV or HTML format, and users can open this in Microsoft Excel or a text editor. Unlike the programs before, Disk Drill is accessible through utilizing a Mac computer. This program can access and recover files located not only from the internal memory of the Android, but also the SD card on Android devices. The earliest possible time users are able to use this program, the better chance there is for all deleted data to be accessed. Download Disk Drill and connect the Android to the computer running the application. Because the phone will likely appear as an MTP device on the computer, users will need to enable USB debugging mode on the Android. Once Android is connected to the Mac, allow Disk Drill to access and connect to the Android. Follow the on-screen instructions prompts until Disk Drill has connected. The available partitions and disk should be visible on the Android. Depending on which application the user was utilizing for their text messages, the file type or method of storage will look different for each. Once these files are found, the user can analyze them using their own judgment and move them to where they are originally supposed to be located on the Android. Users can then view the messages directly on the Android. Since Android allows users to back up their messages, these can be fairly accessible via Google Drive. This method can be used if users have previously backed up the Android phone’s data without using a computer. On Android phone, go to “Settings” and then to “Backup and Reset”. Select “Factory data reset” in order to wipe out all Android data. Following that, the Android should reboot. When the Android reboots, Set up the phone and sign in with the Google account. The phone will provide the user with the option to restore the latest backup. Keep in mind that, if the data on the Android had not been backed up before the Factory Reset, the user will lose all data. Although losing text messages can be frustrating, there are options that specialize in restoring them. Furthermore, with the way that the Android is designed, those messages are typically never really permanently lost. The next time text messages are accidentally deleted, one of these restoration options will be a great way to solve that issue. When you want to know how to unlock AT&T iPhone handsets, it pays to do a little bit of reading. To make things easier for you we’ve compiled everything you’ll ever need to know in a single comprehensive guide. That way you’ll be able to choose from a range of different network providers so that you get the best deal for you. Ideal for having the choice your hard work deserves. If you’re in North America or the UK,then I suggest unlocking with DoctorUnlock. Their excellent service, fast turnaround, and comprehensive range of networks makethem the only choice in these regions. If however, you’re outside these regions then I would suggest using DirectUnlocks. These guys know what they’re doing when it comes to the rest of the world, andtheir range of network options simply can’t be beaten. Let’s unlock AT&T iPhone handsets! The issue with network providers locking handsets to their networks has been a thorny one with users for some time. There are so many better options out there if you can find a way around this unjust restriction, so it’s understandable that you’re making the jump! Have you paid any outstanding amount owed to AT&T for the use of their network? If not then they won’t allow you to unlock AT&T iPhone handsets. Make sure the balance is cleared, and you’ll be able to work your way through the rest of this guide! If you’ve bought your handset from a friend or online seller, you need to make sure that it hasn’t been reportedas stolen or been linked with any illegal activity. If it has, then it will blocked, and you won’t be able to use it no matter what you do! If you have recently upgraded your handset and now want AT&T unlockiPhone codes, you’ll need to wait for 14-days before going ahead. It’ll be worth the wait! Check the AT&T terms and conditions if you have any issues during the unlocking process. They are helpful and should be able to answer any network-specific queries or problems you encounter. Introducing the IMEI Number – You’ll need it for my #1 method! The next step is to obtain your IMEI number. If you’re not familiar with this term, then it is super important that you understand it before you proceed. An IMEI is a unique identifier that tells Apple and the network which specific handset you have in your hand. It contains far more information than merely the make or model of your iPhone; it’s effectively your iPhone’s fingerprint. Finding the IMEI Number – Make sure you find it! Now that you have your phone’s unique identifier, your next step is to contact AT&T. Read on and see how to unlock AT&T iPhone handsets whose contracts have recently expired. Contacting AT&T – this may take a while. Sure you don’t want to skip to the IMEI unlocking section below? Always ask for the name of the person you’re speaking to. Make notes and save themto the Cloud for ease of access. Always ask for a time frame in which you can expect action or a callback. If you don’t hear back within the timeframe, don’t be afraid to chase them up. Now that you know how to deal with AT&T when you contact them, you’re ready for the specific steps you need to follow. Don’t worry if you have issues or AT&T decline to help you with the following steps, we’ll cover plenty more options later on that should unlock your handset. The first thing to do is open your browser of choice. You can do this from your iPhone itself or on a secondary device. Often it’s easy to do it on your laptop as you may have to reset your iPhone during the process. Take enough time to read through all of the eligibility documentation. It can be a lengthy process, and you may think that it’s designed to be confusing but stick with it and it will be worth it. If in doubt refer to the simplified eligibility requirements listed earlier on in this guide. Complete all of the details on the unlock request form before submitting. Just because you’re not sure whether or not a specific field applies to you, don’t leave it blank! If you do that, then your application will most likely never be processed as they will assume you applied in error or they won’t know what to do. Always assume that AT&T will never do anything unless you give them exactly what they need. Remember that they don’t want to lose you as a customer, so it’s doubtful they will chase you up for missing information so that they can accelerate the processing of your request to be unlocked from their network. If you are lucky enough to own an iPhone X on AT&T, then this is an old-school option that’s still open to you. If however, your device is an iPhone 7 onwards then Apple has already shut this one nice and firmly. There was an unintentional loophole in the hardware of the iPhone 3G which enabled users to unlock it without having to consult Apple or their network provider. While it is a neat little trick, I’m going to gloss over it because it’s so unlikely that you’ll have an iPhone of that vintage which is still tied to an AT&T contract. On to option 2: the hardware method. Thisis very much a brute force method to a thinking man’s problem. As you’ll have probably guessed the issue with taking this line of approach is that it can do plenty more harm than good. Precisely what you don’t want when all you’re trying to do is give yourself more choice when it comes to monthly contracts! The exact nature of the hardware method will vary depending on who is doing it for you; needless to say they won’t be particularly transparent or forthcoming with the details. The main issue here is that the ‘expert’ you hire will be getting a lot of money upfront for little if no positive outcome. They won’t be a trained professional, and they certainly won’t have the skills, expertise and special tools that you need if you’re going to start fiddling around with the internals of something as complicated as an iPhone. They’ll probably try and get their soldering iron or homemade programming modules on the case. That will cause all manner of havoc with such a carefully crafted piece of kit that it’s just not worth doing. Just remember; if it sounds too good to be true that someone can open your iPhone and unlock it for you, then it probably is. All in all, you’d have saved more time, money, and effort, if you’d have just sat there on your restrictive monthly contract. At least you’d still have a working iPhone to text and call your friends with. I think you’ve got the picture that the hardware method is never a sensible way to proceed by now. Let’s round this guide off by talking you through the final unlocking method. Ok, so you’ve already obtained your IMEI, you’ve contacted AT&T and worked through all the steps above, but they were unwilling or unable to unlock your iPhone. It’s no consolation to you that the person the other end of the phone has tried their best because you’re still lockedto a network and a monthly contract that you don’t want to be paying for. The software approach isn’t open to you because you’re not running with the vintage iPhone 3G, and you’re too sensible to try the hardware option. That leaves you with the IMEI unlock approach. Fortunately for you, this is the securest one of them all so you shouldn’t have any problems, provided you follow the hints and tipsthat are to come. Remember we said that your IMEI number is the unique identifier that allows you to tell your provider precisely which handset you’re using? Well, now you can use this precision to your advantage by having a specialist third party reallocate it. Confused? Read on. The IMEI unlock issuch an effectivemethod that it’s also referred to as the Factory Unlock in the trade. Thistells you that it has the power to get you onto any network you like, but how does it work? How to find a factory unlock expert? To decide between DoctorUnlock vs. DirectUnlocks, I actually ran a battery of rigorous tests on a range of handsets locked to different networks. Take a look at my judging criteria below, and then I’ll tell you the results of my tests! Are they substantially cheaper than the competition? If so then the chances are you’re either dealing with an unreliable business who’ve had to cut their prices to try and get more business. Or possibly a startup business who may not be up to the job. Do they give a timeframe for unlocking your iPhone? Most reputable third-party contractors will unlock your iPhone within 5-days; the best will make great strides in 48-hours or less. If no timeframe is explicitly given, then make sure you ask the question before placing your order. If you forget to do that, then you may find that you’re waiting for quite some time for what turns out to be quite an underwhelming result. There’s also the distinct possibility that you’ll be leftwith an iPhone you can’t do a whole lot with, in the meantime. Do they have a list of regions and providers? It’s important to know preciselywhat an unlocking contractor can offer. If they have a comprehensive list of the regions they serve and the networks they can get you on then, that’s a fantastic resource. Make sure you make proper use of that. Some companies will offer lots of options if you live in North America or Europe, but a lot less if you live in other parts of the world. Make sure the company you go for has plenty of network options in your region, and that they have a track record of getting people reassigned to those networks. Make sure you check which payment methodsthey accept. You want the security that they accept card payments or PayPal. If someone asks you for cash or a payment method you’re not familiar with, don’t be afraid to walk away. You’ll be glad you did once another company unlocks your handset! Always ask for turnaroundtimes and make sure you’ll have unrestricted use and access to your iPhone’s full suite of functionality in the meantime. Always steer clear of companies that ask you to send your iPhone to them, or ask for other log-in and financial details. There’s no need for them to have this information to get the factory unlock taken care of. Of the three companies that I put to the challenge,they were the only ones who were able to unlock all 12 handsets. Thisis a feat in itself and one that certainly caught my attention. A 100% success rate isn’t something you can better, sothey have my vote in this respect. The only thing I would say that slightly counts against them is that if you live outside of the UK or North America,then you don’t get quite the same level of choice. That said, they market themselves as experts in these regions not worldwide. These guys do so much right that they were only just edgedinto second place. Their unlock rate only dipped below perfection due to one tricky curveball I threw at them. They did struggle to unlock one of my handsets, andthere’s just no getting away from that, unfortunately. To be fair to them,they said this would likely be the case when I placed my order, butthey did have the option of canceling it. They struggled valiantly but to no avail. Credit where credit is due, their customer service was excellent throughout the whole process. I don’t want you to think I recommend every IMEI unlocking service without much thought, so I also had a look at these guys. They’re known to be a bit hit or miss, sothey were a useful yardstick to measure the performance of the other two against. The phones that were unlocked took twice as long as with the other two unlocking services. Plus their customer support was vague and noncommittal. If you want to get AT&T to unlock your handset for you,then there’s every chance that you’ll be waiting forever and a day for it to happen. I strongly recommend the IMEI unlockroute as it’s the most universal and comprehensive way to free your iPhone from restrictive networks. Are you thinking of replacing your iPhone 7 or iPhone 7 plus? Have you considered that there are other options? When our phones aren’t brand-new anymore and the battery seems to run out more and more quickly, many times our first thought is that it’s time to replace our iPhones. That’s certainly the easiest and least stressful way to fix our problem but let’s consider some other points. There can be many causes for our batteries not holding the charge as they used to, running more slowly, or to taking longer to become fully charged. In general, around the time that this occurs, most people are eligible for an upgrade on their phones. It just seems to be the natural progression to take your iPhone in to the store and upgrade it to the next model. No mess, no fuss. Problem solved, phone charges and runs great while holding the charge like your iPhone 7 or iPhone 7 plus did when it was new. All is good … or is it? Once you’ve opted to upgrade your iPhone7 or iPhone 7 plus, you have most likely just locked yourself into a one or two-year agreement to pay $10, $20 or up to $40 or more a month for that phone. For a fraction of the cost of a new iPhone, many times replacing the battery in your iPhone 7 or iPhone 7 plus may be the better choice. iPhone 7 battery replacement and iPhone 7 plus battery replacement may be an option if your phone is charging or running more slowly. Older iPhone batteries will eventually take noticeably longer to charge than a brand new iPhone. You have the option of taking it to an iPhone store for battery replacement, however, that means you are without your phone for however long it will take them to get the job done. Another option is to replace your iPhone 7 battery yourself. iPhone battery replacement is not the simplest of tasks and can take anywhere from a half an hour to two hours. There are many steps. Since it’s become known that Apple secretly slows down batteries, replacement may be the solution to the charging or operating speed issues your iPhone 7 or iPhone 7 plus has been experiencing. iPhone 7 battery replacement and iPhone 7 plus battery replacement are very similar procedures. It is important to note that you should let your phone charge drop below 25% before attempting battery replacement. Attempting to remove a battery that’s fully charged can result in explosion or fire if it is punctured accidentally. If you decide to tackle the job yourself, it is recommended that you detach the display assembly. If you feel that you are able to remove your battery without damaging the cables to the assembly, then there is no need to disconnect them. You can get all the tools you need with kits that are offered online. We have found that there are many dependable vendors on Amazon that offer not only high quality batteries but with all the tools needed in a kit for a very affordable price. On top of it, if there is anything wrong with the kit, you can return or ask for a replacement with Amazon’s liberal return policy. Below are some of our favorite vendors. Please make sure you buy the kit for your exact model. On the bottom of your iPhone 7 near the lightning port. You will find on the left and right of the lightning port, you’ll see two pentalobe screws. Gently remove the screws.. If you’ve bought a battery replacement kit, this kit should have included a pentalobe screwdriver to use. Next, you need to separate the screen from the body of your iPhone. This requires a lot of care and a gentle touch. Removing the screen can be done with either a thin flat object like a metal spudger, flat plastic tool, or a suction cup-like a tool. Usually the kit will have one of these tools listed (if you purchased one). Open the phone by separating the f bottom from the display to about 90 degrees. Note: do not attempt to open it further than 90 degrees as this as it can cause damage to the display cables. Next, locate two small Phillips head screws that connect the battery to the bracket or connector. Remove these screws and set them in a safe place so as not to lose them. Also keep the two screws separated from each other since they are different sizes. The bracket/ shield that you just removed the two screws will come off next. After removing the bracket or shield, carefully remove the small rectangular battery connector. Now, you should see the battery exposed on the logic board. Using the thin plastic tool previously used to remove the battery from its place on the logic board. You need to take off the four screws attached to the display bracket. Set these screws aside and separated and ordered so you remember where each screw came from. . Important: Being careless in this regard can permanently damage your iPhone 6. Once the screws are taken out,, remove the panel from the logic board. First, disconnect the front camera and sensor cable connector. The next cable to disconnect is the home button connector. Then, disconnect the data display connector. Then, you will do the same with the digitizer cable connector. When disconnecting this digitizer cable connector, work from one side and then the next side until it begins release up.. Please do not not pull or push from the middle of the digitizer cable connector. You can now take off the back of the phone and the display panel. Carefully and slowly take off the adhesive strips from the battery. These will expand but continue to gently pull until each one is removed a. It’s better to take your time and be careful with this step to avoid tearing the strips. Now you can remove the old battery now. Once you have removed the old battery, place the new battery in the same spot as the old battery (again taking care) and fasten the battery with the adhesive strips. Next, the process to remove open the housing that you began with is repeated. Except for in reverse. Take great care that you are not skipping steps in reassembling your iPhone in a different order. Not taking each step with care can lead to damage or poor assembly. Don’t be intimidated by the idea of performing the iPhone 7 battery-replacement or your iPhone 7 plus battery-replacement. I feel it’s always better to save money and if you agree, I hope this has been helpful in getting you started. How to buy a used or refurbished Samsung? Opting for a used Samsung unlocked phone is a great way to save yourself a lot of money and to still end up with the same great handset that you would have if you paid out for a far more expensive brand new phone and the contract that comes with it. There are however a few common pitfalls that it is essential to be aware of if you are to save yourself from disappointment and the whole host of headaches that come with buying something that is not as it first appears. Luckily for you, this is where our handy buyer’s guide that you’ve just started reading comes to the rescue! By covering anything and everything you’ll need to know when you go shopping for a cheap refurbished Samsung Galaxy or Samsung Note you’ll be able to find the right device, at the right price. Perfect for shopping with the peace of mind that you are buying at the right place, and asking all the right questions. For our highest rated refurbished Samsung reseller, use Swappa. All their refurbished and unlocked Samsung phones are unlocked and tested for quality and function.
. There are lots of certified vendors who offer refurbished Samsung Phones and more price options. Plus Amazon provides a solid return policy and fast delivery with Amazon Prime. .
Why buy a used Samsung Phone? #1 There’s Amazing Value to Be Had! A used Samsung Galaxy will give you years of happy calling, texting, and browsing if that’s the model you’re after. With new models coming out every single year, and sometimes twice a year, you’ll have plenty of choices which means there are lots of bargains to be found. This is perfect as it means you’re dealing with a buyer’s market. One where you can negotiate for better deals safe in the knowledge that there will always be other avenues open to you. With so many people looking to sell or trade in their unwanted phones the prices are coming down every single day. Perfect for allowing you to start shopping around and finding the bargain that you’ve been waiting for. An unlocked Samsung Galaxy is the perfect way to save yourself money because it gives you the option to shop around for a contract and a carrier network that fits within the confines of your monthly household budget. With the freedom to choose, you’ll be able to free yourself from the higher fees providers charge users, who they know is tied to contract. Perfect for negotiating a custom deal that works for you from day one so that you only pay for what you need, and you never have to pay extra for a whole host of add-ons that you have little or no use for. Phone networks only really supply the latest couple of generations of phones with their contracts. That makes sense from their point of view because it makes them more money and it’s what the phone manufacturers want them to do. The downside is that with every generation companies like Samsung add features and functions that some of us just don’t like. That doesn’t mean that these new additions are bad or unsuitable, it’s just a matter of personal taste. If you have your heart set on a used Samsung Galaxy S4 because you’re not a big fan of the options that have come after it you won’t be able to find one provided as part of a contract, but you will be able to find plenty of viable used options online. The secret here is in knowing where to shop, and what to look out for so that you don’t end up disappointed when a deal falls through that with hindsight was actually too good to be true. Once you know both of those things, you’ll have covered all of the bases and will dramatically reduce the risk of spending your hard earned money on something that you’re just not happy with from the moment it arrives at your door. How much do refurbished Samsung phones cost? With so many models to choose from when it comes to shopping for your next used Samsung phone it certainly pays to shop around. You could, for example, be able to go back one more generation but get double the storage for barely any extra money. Deals like that are well worth looking out for as they will save you a lot more money in few months’ time when you have to pay for extra storage anyway! Where should I buy a used Samsung Phone from? There is a whole host of online marketplaces that you can buy a used Samsung phone from; the art is in finding one you can trust and where it’s not hit and miss whether you get a great seller or a bad seller. Swappa is a great alternative because you’re dealing with a specialist seller who puts the customer first. They stand by every item that is sold on their platform, and they’ll be by your side 24/7 if you wish to raise an issue or concern with the quality of your purchase. That alone gives you the peace of mind that you’re being offered the same protection as a consumer that you would expect when buying a brand new handset online or in a physical store. We’ve all bought stuff from Amazon, and on the whole, it’s a great platform that enables you to find great deals from many vendors in a safe environment. We love Amazon for its price comparison, ease of shopping experience and for it great no-hassle return policy. It’s important to remember however that Samsung phones are absolutely everywhere, so you won’t have any difficulty in finding a huge range of offers and models to choose from Amazon. The downside of this is that there are lots of vendors to choose from on Amazon. So, take your time and check the product descriptions, the seller ratings and comments and make sure that the phones are in good condition, test, certified and unlocked. Craigslist is another option where you can get a lot of things at a whole host of prices. As with eBay, it’s worth being wary of what you’re being offered before you part with your hard-earned money. Purchasing from huge marketplaces can be risky as you don’t know who you’re dealing with and they may just be someone who is keen to make a quick profit at your expense. If you encounter problems, then it can be a long time before you get refunded, if you do at all. Many of us will have friends or acquaintances who tag us in all manner of things that are for sale that day. While often on social media you’ll be able to buy locally and inspect the device in person before you buy, the general quality may not be the best. If you see something pop up on your Facebook feed that seems like the bargain of the century, please do remember that if something seems like it’s too good to be true, then it often is! When you want to figure out whether you have found a bargain or whether you’re facing the prospect of parting with too much money for what you get in return, it’s essential to work through the steps below. Do that, and you’ll be a giant step closer to finding the used Samsung Phone you have been searching for. Every phone in the world will have an IMEI; it’s a unique 15-digit code that is used to identify the handset. It plays a crucial role in getting your handset unlocked because it tells network providers whether they can use it, or if it is tied to one particular network. We said a little bit earlier on that you can expect to pay a small premium for an unlocked phone. That is because the process of unlocking costs money, and someone else will have already paid for it to be carried out. One thing to be aware of are listings that don’t specify whether the phone is unlocked or not. As an unlocked phone is a definite selling point, it’s most likely that the phone is locked to a particular carrier and that the seller has opted out of explicitly stating this as doing so would make their listing less attractive to potential buyers. Make sure you get written confirmation that your handset is unlocked if that’s what you’re paying extra for. That way you’ll be able to use that as insurance should it turn out to not be the case. One potential pitfall here is if you purchase a phone described as unlocked on a vast nonspecialist marketplace like eBay only to find it is locked, you may struggle to get your money back in a timely fashion, if at all, from the seller. If you find you need to unlock your phone, or you decide to pay a little less upfront and purposefully opt for a locked handset, then you’ll need to make sure you know how to get it up and running! Unlocking your phone isn’t that difficult, but it’s important to be aware of some of the common mistakes people make. Learn about that here. First of all, there are a lot of companies out there who advertise their services as specializing in unlocking any type of phone and getting you on any carrier. This may not be the best way for you to proceed because while the offers and rates they advertise will no doubt stand out as quite enticing, they offer limited protection to you should something go wrong. It’s not uncommon for you to pay for a universally unlocked phone, only to find that you only have access to a couple of additional networks. While this is better than what you had to begin with it isn’t the service that was advertised, and it won’t allow you to shop around for the most attractive monthly contracts. Instead, the best way forward is to deal with the networks directly. While they won’t want to lose your business, they won’t want to do anything that damages their reputation either. This is true now more than ever, with millions of consumers leveraging the power of Twitter to publicly name and shame companies and sellers they’re not happy with. Make sure you have your new SIM to hand if you’ve already bought one, and try loading it in and powering your device back on as soon as you can. The best way to proceed is to get the estimated time to complete the unlocking from the original network, and then try your new SIM as soon as they say it’s done. You can also save yourself time and energy going through call centers if you ask for a direct number to the point of contact that you’re dealing with. One thing to be aware of is that Samsung phones come fitted with activation locks. These are something that you need to be mindful of because they can cause all manner of headaches. They’re designed to make sure that if your phone is lost or stolen that someone else cannot illicitly begin using your phone. Essentially they’re an immobilizer for your phone, just like the one in your car that means the keys have to be in the ignition for the engine to run. If they aren’t disabled by the seller before purchasing, then you will be unable to use the phone at all, regardless of whether you’ve bought a locked or an unlocked phone. Remember ‘unlocked’ only refers to the choice of network provider. If you unwittingly purchase a phone that has had the activation locks turned on by the seller, or if the phone has been sold without the real owner’s permission, then you won’t even be able to get onto the home screen. There are plenty of great options out there if you’re willing to shop around. Be safe and always ignore deals that appear too good to be true, and listings that omit some of the critical details we’ve covered above. re one of the most renowned and loved mobile devices of the century. In addition to all this, they can serve as indispensable personal assistants and productivity aids. Whether you are traveling each day for work, or due a trip in the upcoming weeks, installing some apps to help with productivity is the first step in the right direction. To give you a heads up we will highlight some of the best iPhone apps for time tracking, to-do lists, or keeping an organized schedule. Should you be on the hunt for an efficient group messaging and coordination tool, then Slack might be the answer for you. Not only does this platform cover all needed IM basics using real-time messaging options, but it also features a system of communication channels. By using Slack, you can create top-related discussions, add the relevant parties, and assign tasks as you deem fit. For increased peace of mind, the platform also archives your message threads, meaning that you can, at any time, go back through old messages or shared files. Moreover, Slack includes an integrative system which uses cloud storage, meaning that you can sync it up with Asana, Zendesk, and others. For more advanced users, there is a premium plan too –suitable for those needing extra file storage. This is one of the best productivity iOS apps in the marketplace. Highly customizable and featuring a friendly interface, Trello is an excellent choice if you’re after a digital bulletin board where you can create notes, tasks, lists, update your background, and more –making the entire working experience a bit more personal to you. Trello works with the idea that any user can create a list, which can then be filled with different cards. Whether it’s pictures, notes, assignments, ideas, or other odds-and-ends, the world is your oyster. The best part: it can all be shared with other users, giving them the chance to add their supporting comments, new images, cards, or other tasks. Evernote is an excellent app for increasing productivity. To clarify, it does what it says on the package: helps you with taking notes, organizing, and archiving ideas and tasks. You can add notes and comments into your own digital notebook and use it as a multitasking app which saves trees and keep everything in solely one place. Particularly useful when on the go, Evernote is nowadays known as a hub for to-do lists, collaborative projects, and creating business cards. Some would even go as far as saying this is a favorite with nearly no equal. You might want your workload to be as organized as you are in your personal life. Mainly when trying to keep track of numerous email threads, it can get confusing trying to sort through thousands of emails at one time. To help with this goal, Asana offers users a place where they can create projects and tasks, assign them to a particular person, input comments, deadlines, and much more. By doing this, not only will you know who is dealing with what, but you can give people the chance to share comments, constructive criticism, and idea between each other. Gone are the days of forwarding emails, as Asana lets you have teams of up to 15 people for free. Plus, the Premium version will highly increase that cap and supply you with even more exciting and helpful organizational tools. There are few people left in this world who haven’t heard of Microsoft’s Outlook. Easy to use and highly customizable, you can employ Outlook for scheduling emails, and separating your essential threads from sheer clutter. In fact, the platform breaks down your inbox into two big categories: “Focused” and “Other.” This is probably the best way to separate the communications you’ll later need to review from other, filtering the quantity from the quality. Moreover, Outlook lets you quickly get access to all the files you have either sent or received, even if you haven’t saved a file or conversation on your iPhone device. Some users have praised the feel of the app, describing it as next generation, and this will force competitors to do a lot of work to match it. As the name suggests, Spark is designed as an email management application. You can snooze, sort through emails, and filter your results, and that’s just some of the things that the app is well known for. Overall, the app is highly focused on tidying up your inbox instead of leaving things to chance. It operates by giving you gentle visual cues to motivate you to have an organized and clear mailbox –sorting through it based on priority and due date. Dropbox features incredible versatility, and that’s why this cloud storage platform is popular with numerous businesses across the globe. The first and ultimate goal of Dropbox is supplying you with a platform capable of keeping your data safe. After the installation process, you can instantly start saving and syncing files on your iPhone. But it doesn’t even there. In fact, Dropbox is renowned for its convenience in sharing links to files with other users. What separates this service from Outlook and others is that you can attach large files without problem, and the process is quite straightforward. Overall, Dropbox is the most widely accepted cloud storage service around the globe, notably since it offers space galore (i.e., free gigabytes of storage space for free). Here you have it, seven iPhone apps which are designed to increase your motivation and productivity. There are many features to consider before choosing one, or maybe even all of them. Ultimately, it will depend on your organizational goals, what you are trying to keep track off, and the skillset you are wanting to improve. After all, resolutions happen all the time. Having an app that keeps track of your progress or lack of it for that matter will hold you accountable for your actions.